Almost everyone knows about the tragic story about the sinking of the world’s largest “unsinkable” ship. The legend of the RMS Titanic has lived on in books, television, and of course, everyone’s favorite James Cameron 1997 blockbuster film. The facts and history of the Titanic also live on in photos from on board the ship. Photography at the time was expensive and rare, but what better place to have a photographer than the world’s first luxury ocean liner? From the first-class cabins fit for a queen to a rare view of life in the boiler rooms, these photos from on board show what life was really like on board the RMS Titanic and make the tragedy even more horrifying. The name Titanic came from Greek mythology and literally meant “gigantic.” This photo makes it clear just how large it was. 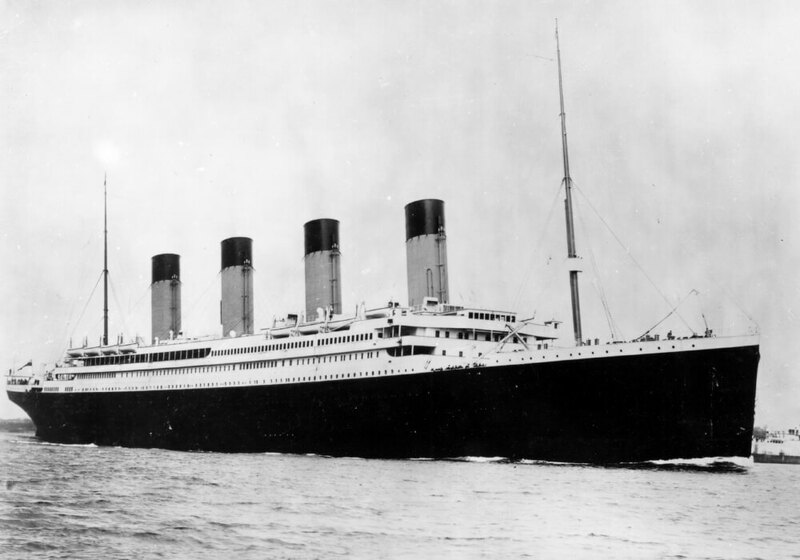 The Titanic set sail on April 10, 1912, with more than 2000 people on board. The building of the ship had been well-publicized. The $7,500,000 price tag also helped keep people talking about it. The size, technical innovations, and impressive features on board the ocean liner made everyone in the world buzz with excitement.